For centuries, people have dreamed of flying. Now it's your turn! 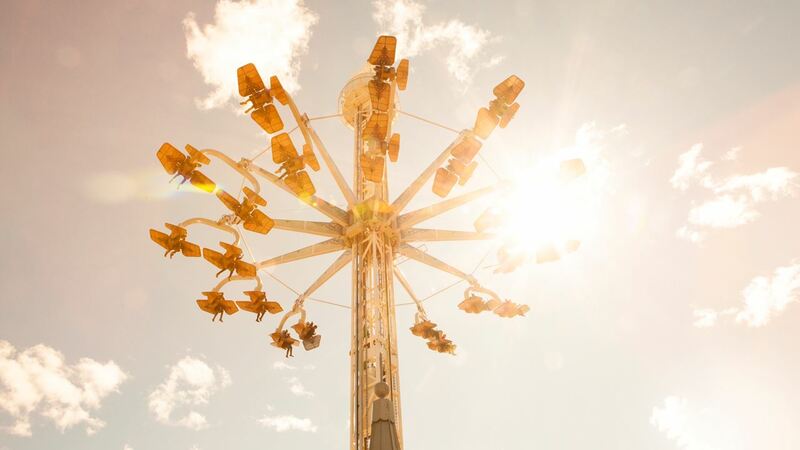 Test your wings and spin your own flying machine as much as you dare on this sensational ride, AeroSpin – a thrilling flying adventure high in the sky. Compete with your friends to see who can do the most spins, or just enjoy the spectacular view 35 metres above the park. You can find AeroSpin here, click on the map for more information and to explore different areas.